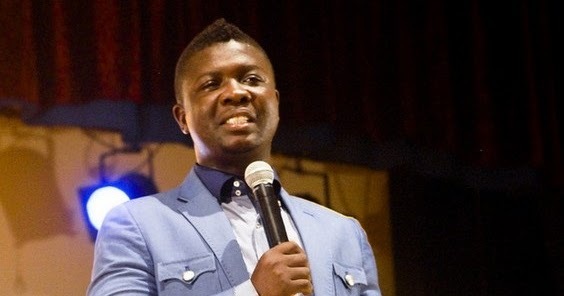 One of Nigeria’s renowned comedians, “Seyi Law’’, has declared that he will run for the post of the president in the upcoming 2019 Presidential Election. The comedian made the declaration on his Instagram page on Wednesday. “I am Aletile Oluwaseyitan Lawrence aka “Seyi Law’’ and I am running for the highest office in the land in 2019, “he wrote on Instagram. “It is time to take the bull by the horns; youthful and working towards a new Nigeria. “I believe I can also pull a Donald Trump on Nigerians in 2019 and the campaign has started. “Why aim low when you can aim high? He said he believed that status quo change was what Nigeria needed to regain its place as a force to reckon with, adding that the energy and knowledge of the Nigerian Youth must be put to positive use. He said, “It is time we acknowledged the ingenuity of our vibrant men and women to ensure proper representation at the different levels of governance, and not mere reduction to PAs and SAs. “We must ensure we retain our best brains in the country and adequately make provision to reform our educational institutions, healthcare system and industries. By this declaration, Seyi Law has joined fellow comedian, Basketmouth, who had earlier declared his intention to contest for the post of president in 2019.